August came and went in a hot, humid blur, and with it came lots of growth and changes for our company. We're still working away at getting our showroom set up for its re-opening, finishing up lots of custom wall art projects and right in the middle of one of our biggest interior design jobs to date. If you're equally busy and looking for some things to keep you inspired and on track, here are some songs, shows and sites we loved this August. Japan planning. We're hitting the road for Japan this fall, and we couldn't be more excited to check out the gorgeous architecture, incredible restaurants and everything else that Japan has to offer. If you've been before and have suggestions, leave them in the comments! This incredible Faroe Islands building. As soon as we saw this town hall building in the Faroe Islands, we were so inspired by the way it uses its natural surroundings as part of the architecture. The building was designed by Ósbjørn Jacobsen and is designed to look like it's floating right into the landscape. New Nashville hangouts. There's always a lot of action in the Nashville restaurant scene, and this summer we've seen quite a few new favorites pop up around town. We're particularly loving Folk and Wilburn Street Tavern in East Nashville. Music to work to. We're big fans of playing music (loud) to keep the whole shop motivated. This month we were loving the new Death Cab for Cutie and Childish Gambino. Check out what else keeps us inspired on our Instagram and our Pinterest. Spring just couldn't decide whether or not it wanted to stick around this month, and winter keeps reappearing with the occasional 40-degree Nashville day full of blustery rain. It's been a month of transition, both in the weather and in our company: transitioning our business from the reclaimed wood art world to the design-and-build world, transitioning our retail space into something a bit more like a showroom, and always transitioning our creative process to fit our current goals. In between planning, reevaluating and daydreaming, these things brought us inspiration (and relaxation) this month. Design books. We went wild on Amazon this month and scooped up tons of beautiful, design-heavy books on our favorite (and soon-to-be favorite) architects. The biggies like Frank Lloyd Wright and Charles and Bernice Eames were definitely in the mix, but we also found some books about new architects that we weren't so familiar with, like this, this and this. Dark green walls. We've been slowly renovating our own home for the past year or so, tackling larger projects over a weekend and maybe working on something smaller late on weeknights. We recently added a dark green accent wall to our bathroom after seeing tons of inspiration all over our favorite blogs. Backgammon. What's your favorite way to relieve stress? Aside from the occasional Negroni or a night cooking dinner at home, playing backgammon has definitely become part of our weekend stress relief routine. Japanese travel. We're endlessly inspired by the simplicity and serenity of Japan's homes, landscapes and culture, and we've been dreaming of taking a trip all over the Japan. 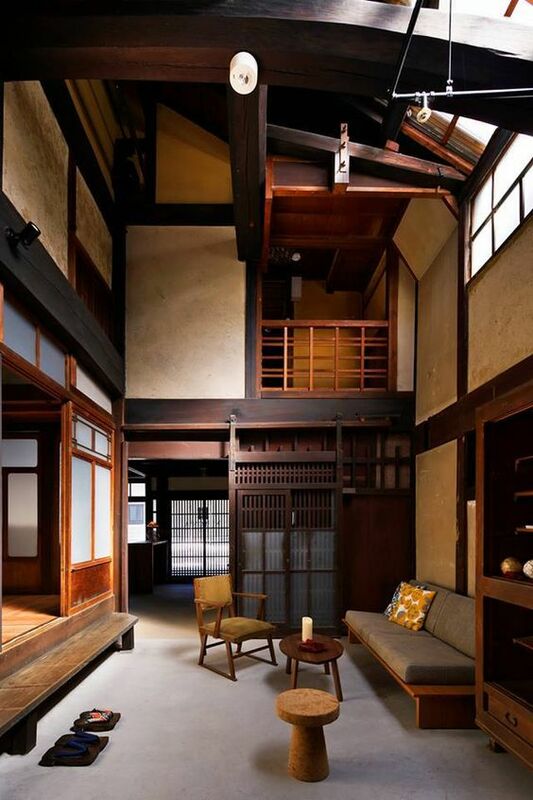 Remodelista's travel guide is especially inspiring. Drake. We only love our bed and our mama... and the new(ish) Drake song. We're sorry. February came and went so fast we almost didn't even get a glimpse of it, but we managed to get a whole lot of work done (and squeeze in some down-time, too). If you're still holed up at home most nights waiting for winter to end, here are some great shows, documentaries, and online inspiration to help get you through that late-in-the-season chill. The Mortified Guide on Netflix. This show is so hilarious, we couldn't help but binge it all at once. Everyone loves a good embarrassing high school story, and this show features real people reading excerpts from their high school diaries in front of a live audience. Plotting warm-weather road trips. Did you see our last post about where to find Frank Lloyd Wright houses in Nashville? It got us dreaming about packing up our truck and hitting the road for somewhere nearby, but just far enough away. Terazzo tile. 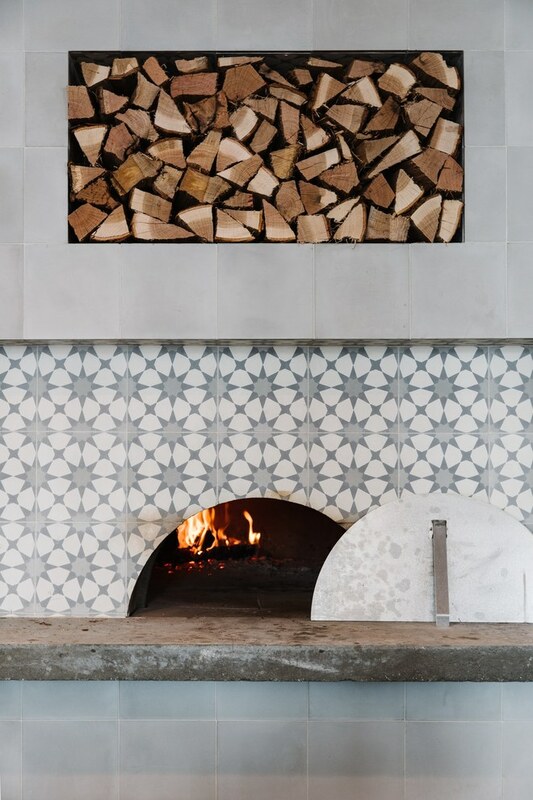 We kept seeing this image on Pinterest, and while it took a little while to grow on us, we're now thinking that we love terazzo tile. How do you guys feel about it? Vegan charcuterie. We've been experimenting with a lot more meat-free meals lately, and in our quest to cut down on meat, we've been finding lots of alternatives to our favorite dishes. The Fox (the bar that we designed and built out in East Nashville) serves a mean vegan charcuterie menu that you have to try if you're local to Nashville. Useful wood pieces. We love it when our customers come to us with a wild idea for a commissioned piece — in the past few months we've done a chess board and a triangular vanity mirror, just to name a couple. We're always open to discussing big ideas for pieces for your home, and we hope to do more fun projects like that this year. Between finishing up the final touches on our showroom and hosting our favorite 1767 party to date, August was a super busy month for us. We kind of thrive on those crazy, no-sleep-til-its-done kind of months, though, and we had a blast running around to pack it all in (and you know — too busy is better than not busy when it comes to the small business game). Now that we finally have a moment of down time to relax, reflect, and plan for the months ahead, we're ready to share our favorite things from August. Documentaries and chill. We love watching documentaries on Netflix and we especially love talking about them with other people. This month, we were watching Werner Herzog's Into the Abyss (a good one if you liked Making a Murderer) and Vice's incredible (and heartbreaking) coverage of the Charlottesville tragedy. Chinese hot pot. Do you guys know about this style of East Asian dining? It was our absolute favorite meal back when we lived in California, but it's been a bit harder to find a true hot pot restaurant in Nashville. The concept is simple: a steaming, bubbling pot of fragrant broth sits on a burner in the center of the table, and you cook your own veggies and meats by dipping them into the broth fondue-style. We finally found a great hot pot place a bit outside of Nashville, but if you'd like to try making your own at home, this is a great source. New Nashville restaurants. Nashville has been getting so many new restaurants that it feels like being in a different city every time we pop over to a part of town we don't usually frequent. Lately, we're especially loving the decor (and the food) at Henrietta Red — and apparently so does Vogue magazine. We're well into the swing of summer here at 1767, and for us, that means craft shows, lots of commission work and grilling huge meals at our brand new workspace. Here are a few of this month's favorite things from the Internet and IRL. Pops of color. We're not usually big on bright, vibrant colors in our work, but a few commission pieces (like this guy above) have us thinking a little differently. We're especially loving the way these bright pinks and blues look against the natural wood. Shop decor. With our first showroom and storefront opening this summer, we've been hunting for tons of inspiration online. We're currently loving bright white brick, clean, minimal shelving filled with not-so-minimal collections and vibrant Turkish rugs. Funny Instagrammers. While we use Instagram a lot for business, there are also a few accounts that always have us laughing. This month we're really loving @MrOrlandoSoria, an interior designer for Homepolish who is just as hilarious as he is talented. Meal planning. With so much going on around the new shop, we've found it really helpful to prep some quick and healthy meals for the week on Sunday afternoon. Have you guys tried meal planning? Give us your tips! Documentaries. We've been watching a ton of documentaries, both at home and in our down-time at the shop. This list has some great ideas about the best new ones to watch on Netflix, but we'd love to hear your favorites, too. It's not even officially summer yet, but Nashville sure feels like it. In between transforming part of our new studio into a showroom, keeping up with our usual custom projects and fulfilling orders, we've barely had time to enjoy the hot weather. Here are a few of the things we've been doing (or thinking about!) in our down-time. New restaurants. It's no secret that we're big eaters around here, and with so many new restaurants popping up in Nashville every day, it's hard to keep up! We've been loving the Palm Springs vibes over at the new Little Octopus location for a few months now, but we also can't wait to check out Henrietta Red (and its gorgeous space). Plant shopping. We're not about to reveal the so-called "secret" plant nurseries and greenhouses around Nashville, but let's just say if you keep your eyes peeled you can stumble upon quite a few. We can't wait to fill our new showroom with lots of greenery. Tulum. Summer is our busiest season, so we're definitely not the summer vacation types, but we're dreaming of a fall vacation once things slow down a bit. Has anyone been to Tulum, Mexico? Give us your tips! Kendrick Lamar. We blast the new Kendrick all day in the shop, and wherever you work, we hope you do too. Plus, these incredible videos of dogs listening to the new album are so good! Broad City. Have you guys seen the trailers for the new season of Broad City? It doesn't come back until August, but we can't wait.